When you’re confident about something, you’ll likely back it up with a promise. When water ionizer brands promote their products to be durable, safe, and high-quality…they’ll make guarantees in their warranties, return policies, and trial periods. But be careful…because not all policies that water ionizer companies have are created equal. 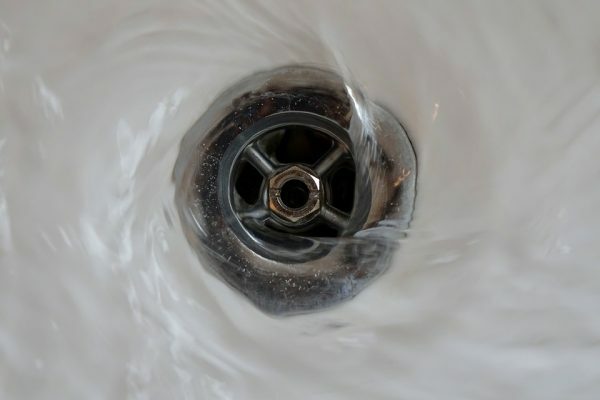 You don’t want your hard-earned money to go down the drain because of a bad company warranty, return policy, or trial period. The most important thing that you should consider during the buying process is the warranty. We cannot stress this enough. What exactly is a warranty? Well…a warranty simply means that the manufacturer provides its customers with legally-ensured service replacements, repairs, or correction of issues within the stated duration. The quality of a company’s warranty will tell you a lot about the company and its products…even before you buy from them. We find that the longer the warranty period is on a water ionizer, the better the company is at standing by the quality of their products. See…most companies offer a one-year warranty on their machines, but some premium water ionizer brands offer a FULL lifetime warranty. You shouldn’t settle for anything less than a lifetime warranty. Another important thing to look out for in a warranty is what you’ll come across in the fine print. Some water ionizer companies make it almost impossible for machine replacements to be provided because of unreasonable details in the fine print. Make sure to be fully aware of which problems are covered by the warranty policy. To learn how long each respective company’s warranty period lasts – head on over to our water ionizer reviews. One very important detail to look for in a warranty is how any needed parts and labor for your machine are covered by the manufacturer. Some water ionizers that you come across on the market may be advertised with a full lifetime warranty, but only for labor. The problem with a lifetime warranty that covers labor only is that the cost of machine parts is usually a lot more expensive than the cost of labor. Pro Tip: To avoid getting burned by a warranty – always consider water ionizer brands that offer FULL lifetime warranty coverage on BOTH parts and labor. Having full lifetime warranty coverage will give you the peace of mind that in case something goes wrong with your machine, you won’t be blindsided with hidden charges. All brands have their own unique return policy that states that their water ionizers can be returned within a specified trial period if the customer is dissatisfied with the equipment. Understandably, most water ionizer companies will require a restocking fee if you run water through the machine because they will not be able to resell such a unit as new. Be careful of companies who charge restocking fees on unused units. Restocking fees can vary by manufacturer…running anywhere between 15%-25% and up, depending on how long the machine was used. Be careful though, as some water ionizer brands also charge their customers with excessive handling or processing fees for machine returns. Pro Tip: We recommend that you look for a reputable company that has a flat restocking fee of 15% and a documented history of minimal returns. You should also calculate the estimated cost of fees associated with returns. To get you to notice and feel the health benefits of alkaline water for yourself – companies will give you a trial period so that you can determine if you want to buy their water ionizer or not. The length of the trial period will vary by company. We find it to be quite shocking how some water ionizer companies have the nerve to only offer a 3-day trial period on their machines. A short trial period of only 3 days leads us to believe that consumers would have problems with the alkaline water machine on day 4. What we do love is how some premium brands offer consumers up to 75 days to try their water ionizers. Yep…you read that right…75 days. That’s 2 ½ months! What a 75-day trial period tells us is that the company is positive that their customers won’t return their water ionizer, and that they are also confident in the dependability of their machines to consistently produce high-quality alkaline water. Pro Tip: If we didn’t make it obvious enough…you should ONLY try and buy from a reputable company that has a consumer-friendly trial period of 75 days. 75 days is more than enough time for you to see and feel the alkaline water benefits that you can get from using water ionizers. Just make sure you let the company know whether you want their machine or not before your 75-day trial is up! Among all the brands we’ve tested, we couldn’t help but notice that Tyent provides the BEST warranty…the BEST return policy…and the BEST trial period. All Tyent water ionizers come with a FULL lifetime warranty that covers both parts and labor – which Tyent likes to call their FOREVER Guarantee. Tyent doesn’t even use the word “limited” in their warranty! You’ll also get a 75-day trial period when trying out one of Tyent’s water ionizers, which also includes a minimal 15% restocking fee. If peace of mind is an important factor in your purchase decisions, then Tyent is a brand worth shortlisting. We even handpicked Tyent as our 2019 Editor’s Choice for being our top-rated water ionizer. Although warranties, return policies, and trial periods are major factors to look at when shopping around…there are other things for you to consider that will ensure that you buy the best alkaline water machine for your home. 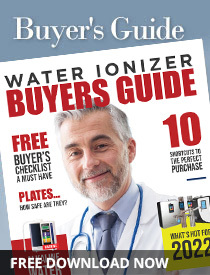 We just dropped our new and improved Water Ionizer Buyer’s Guide to help you take the next step in securing better health – so read it right now. Learn which brand slaps hidden restocking fees on their customers through crafty, deceptive verbiage on their website. Meet the “Crowning Three” companies that have an industry-low 15% restocking fee and a varying warranty length that covers both parts and labor. How to protect yourself from being scammed by a company who sells water ionizers…in 3 easy steps. The specific number of plates your water ionizer should have to make high-quality alkaline hydrogen water. Why we love under-counter water ionizers and what kind of machine you should avoid at all costs. The important international certifications that water ionizers must have to be considered high-quality machines. To obtain all the valuable, money-saving information found in our 62-page buyer’s guide…all you have to do is click on the image above and then tell us where to send your FREE copy. Have you or someone you know been the victim of a bad company warranty, return policy, or trial period? We’d love to hear from you…so, drop us a line in the comments! Are water ionizers easy to maintain? What are the ongoing maintenance costs of owning a water ionizer? How much time will I spend keeping my water ionizer working properly?